Ph.D. Ethnomusicology, University of California, Berkeley. Masters degrees in English, Piano Performance, and Ethnomusicology. As a scholar of music within cultural contexts, Dilling specialized in Korean music, particularly its rhythmic system and the contemporary transformations of genres rooted in Korean folk practices, like nongak and sinawi. 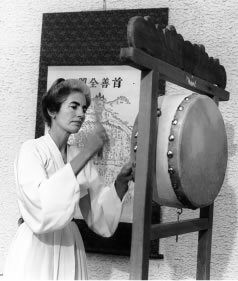 At UCSD she tought courses in world music, music of East Asia, and ethnomusicology and encouraged interaction between contemporary composers, performers, and musics of the world. Marnie Dilling died on May 13, 1997.